The controlling shareholder of the world's largest meat-packing company, JBS, has agreed to pay a record 10.3bn real ($3.2bn; £2.4bn) fine for its role in Brazil's corruption scandals. J&F Investimentos will pay under a leniency deal in two corruption investigations. The payments will start in December and J&F will have 25 years to make them, prosecutors say. The fine beats the $2.6bn paid by Brazilian building firm Odebrecht. Brazil's President Michel Temer is in danger of being toppled thanks to testimony given by J&F's owners, Joesley and Wesley Batista, under a plea bargain. The pair, who resigned from their board positions at the company last week, say they spent 600m real to bribe nearly 1,900 politicians in recent years. 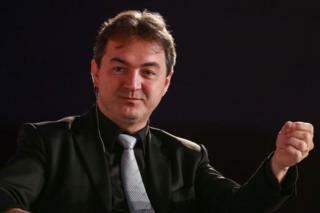 Joesley Batista also gave prosecutors an audio tape - leaked to the press - where Mr Temer appears to condone bribing a witness. In it, Mr Temer appears to discuss making hush-money payments to silence politician Eduardo Cunha, who is currently in prison. Mr Temer has said the recording is genuine and was taken from a meeting in March but denies any wrongdoing. Brazil's biggest-ever corruption investigation, Operation Car Wash, has been running for more than three years. The number of people embroiled in it continues to rise.